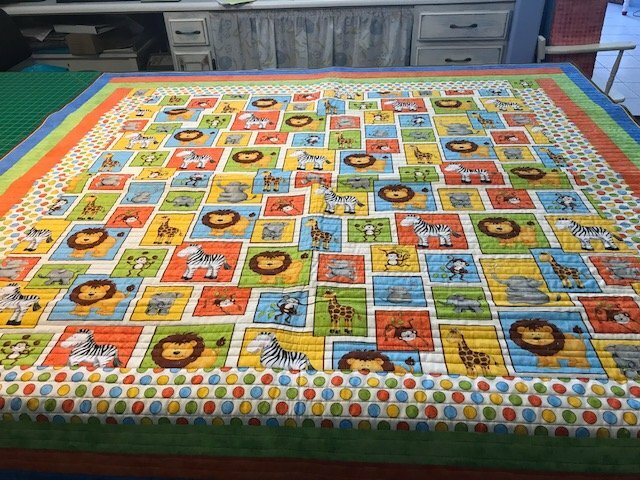 Monkey Business Toddler quilt 58 in by 58 in. Lions Giraffes Monkeys and all the jungle critters. 100% cotton.